Las Vegas sportsbooks may lose their edge come summer. 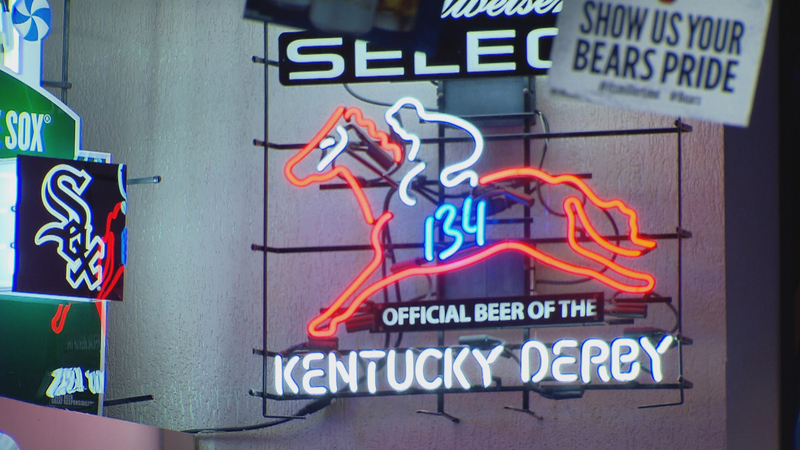 The U.S. Supreme Court is weighing whether to lift a federal prohibition on sports betting that exempted only Nevada and a few other states that had laws on the books before the ban took effect in the early 1990s. While there’s no way to predict exactly when or how the justices will rule, according to court-watchers, the odds are that the court will open the gambling doors to all states. “There’s so much illegal betting going on right now, there’s so many offshore accounts, there’s so many illegal bets that you can go on the internet and make, that it would seem that we should at least capture that and put some taxes on it, and it should be regulated so people don’t get ripped off,” said Bob Molaro, a retired state lawmaker who pushed for gaming expansion while he was in the General Assembly, and who is now a lobbyist for Hawthorne Race Course in Cicero. “There’s no doubt that if the Supreme Court lifts the restrictions it will pass in some form here in Illinois,” he said. Poll: Should Illinois legalize sports betting? Senators spent hours at a hearing Tuesday holding preliminary discussions on just that. Industry expert Chris Grove, of Eilers & Krejcik Gaming LLC, estimates that Illinois could generate between $300 and $681 million annually from sports betting – the former if Illinois contains sports betting to brick-and-mortar establishments, the latter should Illinois open it up to online and mobile sites. If the state wants to compete with black-market gambling, Grove encouraged lawmakers to support not only going mobile, but to keep any future state law as flexible as possible to keep up with emerging technologies, and to include the widest breadth of games. “Black-market operators face no restrictions on the sports of the games that they can take bets on. If policy limits what games legal sportsbooks can take bets on, then legal sportsbooks are at a clear disadvantage,” Grover said, noting that the NCAA has lobbied in other states to keep college sports exempt, and Major League Baseball has expressed concerns about lower-paid minor league players and umpires falling prey to scams should betting be allowed on their games. Opponents to gambling argue just the opposite. While professional sports leagues spent years fighting sports betting, they’re now largely on board. “The time has come for a different approach to give sports fans a safe and legal way to bet on sporting events,” said National Basketball Association Senior Vice President Dan Spillane. But the MLB and NBA want a cut of the action, arguing that it’s their games that betting operators would be profiting off of, so they proposed taking a 1-percent tax on the handle of bets placed on league games. “There is certainly a concern of corruption. We had corruption in our game in the past. We have had scandals. We have had scandals here in Chicago with the Black Sox many years ago. So it’s certainly something we’re worried about. We do think we’re prepared to handle it. We invest a lot in our protection, the integrity of the game right now. We will continue that. But as sports betting becomes more prolific in the United States, our cost to protecting the integrity of our game are certainly going to increase,” MLB Senior Vice President Bryan Seeley said. Should the U.S. Supreme Court open the gateway, Illinois would have a vested interest in acting fast – neighboring states, save for Wisconsin, are crafting their own proposals – any true movement would likely wait until after November’s election for governor. Do you think sports betting should be legalized in Illinois?